Wine Enthusiast'sÂ picks for theÂ industry movers and shakers of 2008. Wine Enthusiast’s Wine Star awards recognize excellence in the wine and spirits industry, with a special emphasis on achivements made over the past year. Feature articles on each ofour 2008winners appeared in the December 15th Special “Awards” issue. The recipientswere then honored at the gala dinner and awards ceremony at the New York Public Library on January 26, 2009. Read highlights from this year’s Wine Star Awards ceremony. There were 50 nominees, five in each of the ten main award categories, and the winners were selected for their outstanding contribution to the world of wine and spirits, with special attention to achievements in the year 2008. Newfor 2008 wasour Innovator of the Year award while theprestigious Lifetime Achievement Award was presented to Marchese Piero Antinori. Scroll down to learn more about our winners. The president and CEO of Constellation Brands, Robert Sands heads the world’s largest wine company, also a major supplier and marketer of spirits, beer and other alcoholic beverages. 2008 was a significant year, with Constellation’s strategic plan moving them further upscale into the more profitable high-end marketplace. This was accomplished by the acquisition of Clos du Bois, the leading super-premium brand, and Wild Horse, the Pinot Noir powerhouse. It also shed two venerable but static brands, Almadén and Inglenook, as well as other nonstrategic brands. In doing so, it increased its capacity to take on upmarket wines. The company also completed a joint venture with Grupo Modelo, which imports Corona Light, America’s most popular Mexican beer, and saw significant sales gains for its recently acquired Swedish Svedka vodka. For his ability to adapt and evolve, reflecting current consumer tastes and trends, Robert Sands has been named by Wine Enthusiast as our Man of the Year. The Antinori family has been making wine in Tuscany and Umbria for over 600 years, for 26 generations. As president for the past 25 years, Piero Antinori has combined progressive and original techniques with traditional ones, to dramatically improve and redefine winemaking in Italy. He is responsible for the production of a ‘new breed’ of wine—Tignanello—the prototype of the Super Tuscan category, which evolved in the 1970s, and has been adopted by many other top Italian wine producers. For contributing tirelessly to the rebirth of Italian wines and advancing the cause of Italian wines throughout the world, Wine Enthusiast Magazine is proud to name Piero Antinori as the seventh recipient of its Lifetime Achievement Award. In its 125-year history, Korbel has achieved something few American wineries have—not just longevity, but something even more elusive: supreme brand recognition. Indeed, the name “Korbel” has become associated in the consumer’s mind with reliability, trustworthiness and affordability, which are the main reasons why Korbel leads the sparkling wine category in America, with Gary Heck (left) as its president and owner. According to Nielsen’s reports on Korbel store sales, it was #1 in bubbly dollar sales this past year, #6 in dollar sales of any brand, including still table wines, and the #1 brand of any table or sparkling wine in America during the 2007 holiday season. For all these reasons, and more, Wine Enthusiast is pleased to recognize Korbel as the American Winery of the Year. European Winery of the Year: The Boutari Company, Greece. Founded in 1879 by Yiannis Boutari, The Boutari Company has evolved from a one-winery Naoussa operation into a pioneering six-winery business located in different regions throughout Greece, led by CEO and president, Constantine Boutari (right). They have set several precedents: not only experimenting with varieties all over Greece, seeing what will grow, and where it grows best, but also creating friendly wines that people around the world can enjoy. It is a risky and expensive endeavor, but one that is crucial in order for Greece to take its place on the world’s wine stage. For its innovative crafting of approachable wines like Moschifilero, and their trailblazing in testing both native and French varieties in various Greek locations, Wine Enthusiast is proud to award the Boutari group its European Winery of the Year award. New World Winery of the Year: Casa Lapostolle, Chile. Casa Lapostolle, founded as a Chilean-French joint venture in 1994 and now wholly owned by the Marnier Lapostolle family that controls Grand Marnier liqueur, has been a pacesetting, pioneering winery in Chile since day one. Under the direction of chairperson Alexandra Marnier Lapostolle (left), Casa Lapostolle remains a forward-thinking and innovative leader in Chile’s ever-growing wine industry. Best known for its dedication to the Apalta Vineyard in the Colchagua Valley and its flagship wine Clos Apalta, Casa Lapostolle, which employs the esteemed winemaking consultant Michel Rolland, produces 180,000 cases of premium wine per year, about 60% of which is exported to the U.S.. For helping to establish high standards in Chile and receiving worldwide recognition, and for producing respected value wines as well as its top cuvées, Casa Lapostolle is Wine Enthusiast’s New World Winery of the Year. For a winemaker to not only survive but also thrive at a winery for nearly 30 years is remarkable in itself. For that winemaker to get better and better with each passing vintage, so that the winery is recognized as one of the top brands in America, is even more noteworthy. And for that winemaker to be a woman, in a field long dominated by men, makes Margo Van Staaveren, of Chateau St. Jean, the natural choice for Wine Enthusiast’s Winemaker of the Year. Van Staaveren began at Chateau St. Jean back in 1980, as a laboratory technician, fresh out of UC Davis. By 1989, she was named Assistant Winemaker, and later Associate Winemaker. She became the Winemaker and Director of Operations in 2003, continuing a rich legacy of winemaking as the fourth winemaker in the winery’s history. Shaw-Ross has built a solid but diverse portfolio of wines and spirits, bringing new brands from across the globe to American tables, and in some cases resuscitating neglected brands and restoring their U.S. sales to health. Education is a cornerstone of Shaw-Ross’s strong track record. The importer under the leadership of Managing Director Bruce Hunter (left), is committed to sending wine and spirits specialists out into the field, training retailers and distributors on portfolio products, and giving them the information they need in order to craft a viable sales pitch for customers. Overall, strong growth of brands spanning a deliberately broad price range and geography, driven by an emphasis on education and passion for its brands, is why Shaw-Ross Importers is Wine Enthusiast’s Importer of the Year. The Macallan Distillery of Easter Elchies House, Morayshire, Scotland is Wine Enthusiast Magazine’s Distiller of the Year 2008, because of their continuing commitment to product excellence, as showcased by their traditional Sherry cask line of single malt Scotch whiskies, and their innovative spirit, as evidenced by their groundbreaking Fine Oak line of single malts. Looked upon as a genuine luxury Scotch whisky the world over, The Macallan is admired for never cutting corners in any aspect of production. They are famous for their dedication to using only the finest malted barley, the best spring water from their own property, the smallest copper pot stills in the Highlands that produce unusually intense and flavorful whiskies, and the most meticulously selected aging barrels. The Macallan’s methods of production, business resolve and marketing are models for the industry. Under co-owners John (left) and Lindy Rydman’s direction, Spec’s has become a major force in beverage sales in Southeast Texas. Headquartered in Houston, with 62 stores in that city and in other locations throughout the state, it added ten in the last year, including four in a new market, Austin. More than just a wine and spirits retailer, Spec’s locations range from neighborhood stores to its giant warehouse location in Houston with gourmet foods and a wide selection of cigars. 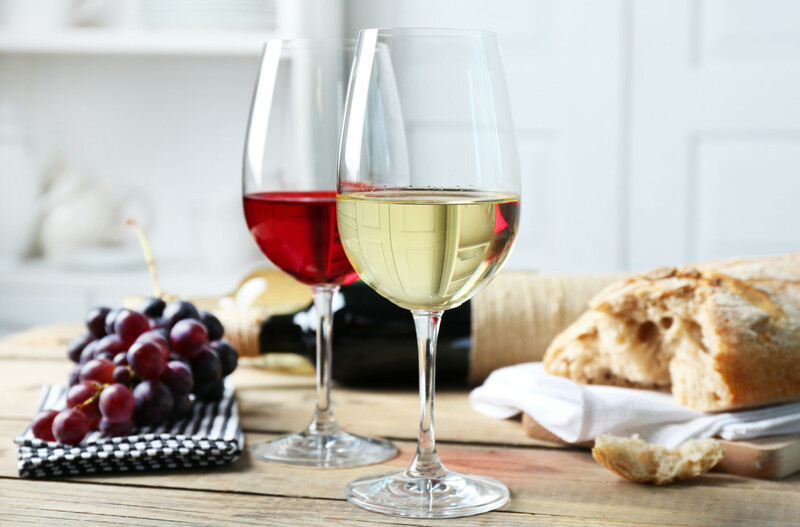 Spec’s offers tastings to its customers, to help them understand a wider range of wine styles, and make a more informed decision about purchasing. The Rydmans, both trained music educators, are also major supporters of local music organizations and charities. For their creative commitment to the lifestyle of wine, including education, accompaniments and accessories, Wine Enthusiast recognizes Spec’s as its Retailer of the Year. Mendoza, Wine Enthusiast Magazine’s Wine Region of the Year, is the heart, mind and soul of the Argentine wine industry, which has been growing by leaps and bounds in the past few decades. Approximately 80% of all wine made in Argentina hails from Mendoza, a province that sits at the eastern base of the Andes Mountains, roughly 650 miles west of Buenos Aires. Mendoza’s terroir is high desert, with vital water coming from Andean snowmelt. The signature wine of Mendoza is Malbec, a runaway winner in export markets across the globe. In recent years, Argentina has grown into the world’s fifth largest wine producer, magnifying Mendoza’s importance and prominence. Today Mendoza is a wine region on par with many of the best in the world. Tetra-Paks, aluminum and PET plastic bottles are all part of Boisset Family Estate’s drive to reduce their carbon footprint. The launch this November of Mommessin and Bouchard Aîné Beaujolais Nouveau in PET bottles has not only created a stir in the traditional wine industry, but has also continued a serious commitment. Jean-Charles Boisset, president of Boisset Family Estates, whose headquarters are in Nuits-Saint-Georges, Burgundy, France, launched Tetra-Paks of French Rabbit wine in 2005. Infinitely recyclable, the aluminum packs weigh less than half the weight of a conventional bottle. For his contribution to the environment through his company’s innovative use of packaging, Jean-Charles Boisset has been awarded Wine Enthusiast’s first Wine Star Award for Innovation. Watch video highlights of the 2007 and 2006 Wine Star ceremonies.